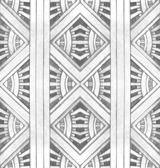 The startling cover photo of the Chrysler Building is just a tease. 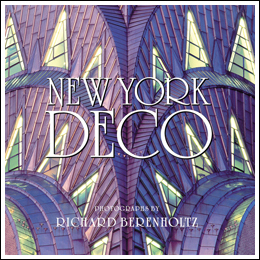 This book is filled with over 100 stunning color photos of New York City’s best Art Deco icons, from sweeping panoramas to fabulous details. It includes a great introduction by Carol Willis (founds of the Skyscraper Museum), detailed and informative captions, and text/poetry from the great writers, artists and personalities of the Deco era. What a wonderful addition to your personal library, and a thoughtful gift for anyone who loves New or City. HC, 9” X 9”, 160 pages.